The All Saints Drop-in provides a social space for refugees, asylum seekers and migrants to meet people and access professional advice and advocacy. The Drop-in takes place between 10am and 1pm on Mondays and Thursdays at All Saints Church, Portsmouth. Refreshments and a creche are available.See below for further details. The All Saints Drop-in provides a social space for people to access both professional and peer support in times of need. 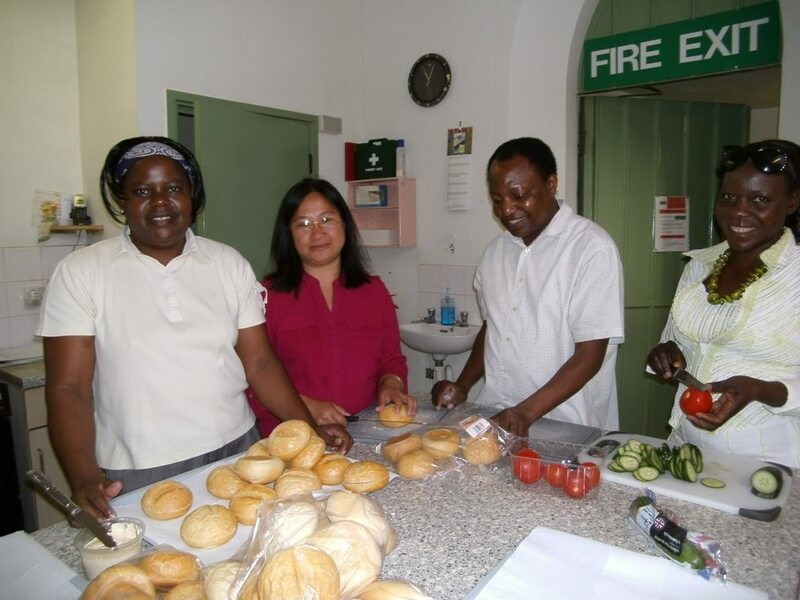 Volunteers work with members of the local asylum seeking and refugee community to resolve problems and utilise coping strategies when times are hard. Friends Without Borders maintain links with other refugee support services, local solicitors and food banks that can provide assistance. The All Saints drop-in is run in collaboration with the Portsmouth branch of the British Red Cross. Staff and volunteers that coordinate the Drop-in have a unique perspective on the immigration experience as they have seen both the hardship of living within British community as an asylum seeker but also the difficulties of immigration detention. FWB are aware that general advice should always be considered in light of any ongoing immigration case. We aim to ensure that our advice realises the limitations and restrictions that may be placed upon a person who is or has been subject to immigration control. We see people with multiple issues for example, a particular case of success include someone with severe mental health problems having been sectioned and then in immigration detention and then released onto the streets of Portsmouth. They had a medical report in which we found the name of the mental health solicitor who had seen them whilst they were sectioned. A phone call established that under certain provisos of the Mental Health Act, an argument could be made for housing. We are delighted that after some months of wrangling temporary accommodation has been provided.